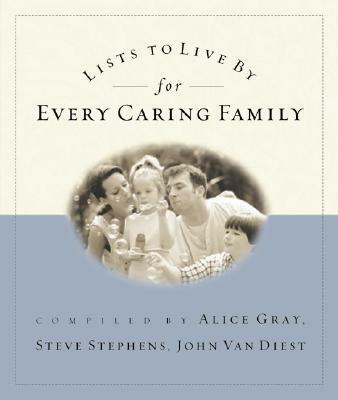 Moms and dads will welcome the loving, insightful, and to-the-point wisdom found in Lists to Live By for Every Caring Family. Each of the eighty lists compiled by three successful and respected authors offers encouragement and tender advice for today's parenting challenges. This isn't another trivia book; Lists provides new inspiration on how to love, teach, understand, uplift, and communicate with children in topics such as "Helping Your Child Succeed," "Pray for Your Children," and "Four Ways to Encourage Your Kids." Parents will cherish each nugget of truth in this latest, timeless collection of Lists to Live By.